Makers are planning to release Masss audio album on 3rd of May. 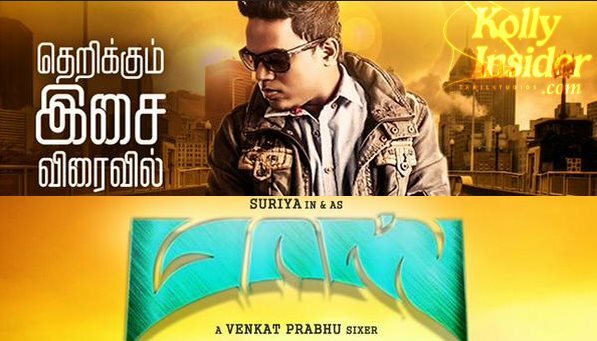 Suriya's Venkat Prabhu directed Masss is gearing up for a grand release on may 15th. The official teaser of Mass is released recently which received overwhelming response from fans all over. Now fans eagerly awaiting for next event audio launch of the movie. Now the latest we hear is that audience can expect the album to hit the stands on 3 May and the music rights is acquired by Eros. Yuvan Shankar Raja is said to be back with a bang with this album of seven tracks and Suriya had earlier tweeted that he is anxiously waiting for everyone to hear Yuvan’s fabulous music with the song ‘Piravi’ being Suirya’s personal favorite. Eros Music has bought the Masss music marketing rights and are expected to officially announce Masss audio launch date soon. After recently released Masss trailer garnered huge attention from audiences, they are eagerly waiting for Masss songs. Directed by Venkat Prabhu, "Masss" is reportedly a supernatural fantasy thriller starring Suriya and Nayanthara in the lead roles under the joint production of 2D Entertainements and Studio Greens. The film will be the 50th film for editor Praveen KL. The screenplay of "Masss" is written jointly by Venkat Prabhu and Madhan Karky, and the cinematography is done by RD Rajashekar. The film, produced by KE Gnanavel Raja under the banner of Studio Green, is scheduled to hit the theatres on 15 May, 2015.